The healthcare industry is highly susceptible to workplace violence. That’s why we’ve focused our specialization in regulatory compliance and workplace violence mitigation company to help those in healthcare organizations. Here at Mitigation Dynamics Institute, we pride ourselves on helping save lives of those who save lives! 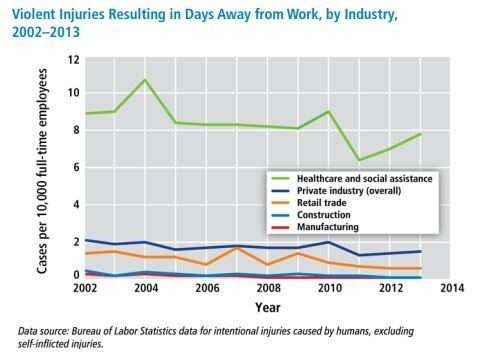 There are a TON of surprising statistics about violence in the workplace for the healthcare industry. Learn more about these statistics below. –	The armed violent intruder at Virginia Tech University murdered 32 people and wounded 25 others within 7 minutes. –	The armed violent intruder at the movie theater in Aurora, Colorado murdered 12 people and wounded 58 others within 5 minutes. –	The armed violent intruder at Sandy Hook Elementary School murdered 26 people and wounded 2 others within minutes. –	Collectively these incidents equate to a murder attempt every 6-10 seconds. 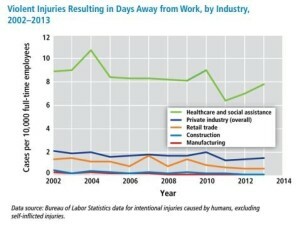 –	From 2002 to 2013, incidents of serious workplace violence (those requiring days off for the injured worker to recuperate) were four times more common in healthcare than in private industry on average. –	Violence in the workplace leads a number of staff members to quit. The estimated cost of replacing a nurse is $27,000 to $103,000. –	21 percent of registered nurses and nursing students reported being physically assaulted—and over 50 percent verbally abused—in a 12-month period. –	Registered nurses experienced about 14 violent injuries resulting in days away from work per 10,000 full-time employees. 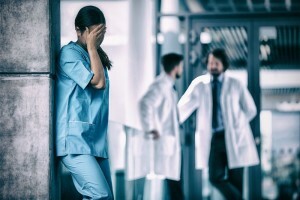 Now that you’ve read through some of these interesting statistics about workplace violence in the healthcare industry, you’re ready to help prepare your staff for the potential threat they may face on a daily basis. Our violence mitigation organization can help you do just that! Take a look below to see how Mitigation Dynamics Institute can help your healthcare organization prepare for the unthinkable. We ensure all elements of our Workplace Violence Mitigation System are in balance with our Four-Pillar Principles. Our content experts work diligently to insulate you from unnecessary liability and the complexities of existing regulations. We offer training that empowers the healthcare professional to cognitively recognize and properly respond to behaviors consistent with client dissatisfaction or dangerous situations. Proven techniques focus on safety not only for the patient or client, but also for the professional. MDI content experts with decades of experience partner with healthcare organizations to identify gaps and solutions to meet the robust nature of regulatory compliance that is now expected by Centers for Medicare and Medicaid Services (CMS) and accrediting bodies, such as The Joint Commission (TJC). Whether physical environment, emergency management, physical security, access control or specialized areas, such as ligature risk assessment and diagnostic imaging, MDI content experts insulate healthcare organizations from the complexity of CMS regulations. TEAM MDI is your solution.